Loading of the goods is also significant for us because many goods got damaged during this process. We provide trucks for the transportation of goods and skilled staff to load goods on them with utmost care. Our services are not confined to India only; rather you can therefore depend on us to carry your goods safely anywhere in this world. Loading and unloading services merely include loading and unloading of household personal goods. Office goods or industrial equipment’s etc. Our specialization lies in providing loading and unloading services for goods with utmost efficiency and at reasonable prices. We have the requisite infrastructure for lifting and shifting of different types of machinery equipment and plants. It is ensured that no wear and tear of damage is done to the machinery. 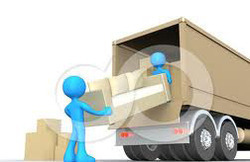 Loading and Unloading is an important part of relocation. 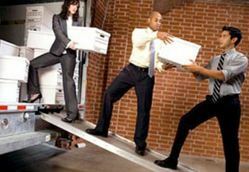 A great emphasis is given on loading and unloading the packed goods properly with utmost care as this is carried out by experienced and skilled people ensuring safety of the goods. Our experts handles work of unloading with utmost care that any damage to the items or goods can be avoid..Our team of highly experienced workers ensures that all the goods are unloaded from the vehicle without even a minor scratch. Our highly experienced experts ensure required attention and extra care for suitable unloading of goods as this is comparatively risky work. We take extreme care of goods while loading them inside the vehicles. We ensure that they are covered nicely and remain safe while moving to the desired place.